Eco-friendly with low equipment footprint, high energy efficiency, and simplified O&M. 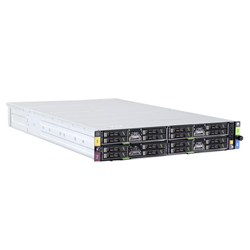 A high-density server designed for cloud computing, data centers, and Internet applications. 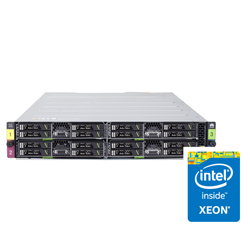 With its optimized architecture, X6000 offers high performance, rich server node options, and better energy efficiency, making X6000 an ideal choice for large-scale server deployments. 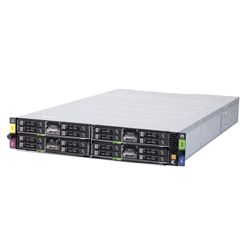 2U height with centralized power supply and cooling; accommodates four half-width or two full-width server nodes; offers a density four times that of a conventional 2U rack server, which allows a rack to hold up to 80 half-width server nodes. 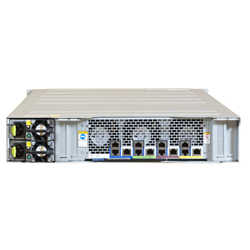 Ensures optimal performance based on service requirements by providing half-width server nodes and full-width server node; server nodes support Intel® Xeon® E5-2400/E5-2600 series and Intel® Xeon® E5-2400/E5-2600 v2 series. Increases cooling efficiency and reduces energy consumption with highly efficient fan modules, and an optimized cooling architecture that isolates power air ducts from server nodes. Quickly deploys with easy maintenance using a front-facing design and hot-swappable server nodes.